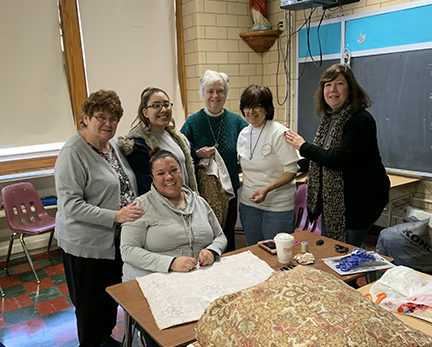 The New Windsor Presentation Sisters sponsored a day of service at the Sacred Heart/St. 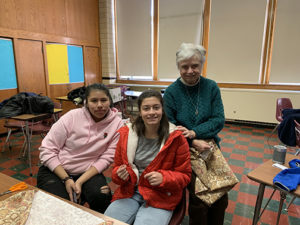 Francis Youth Ministry Center in Newburgh, New York, on Monday, January 21, 2019. Presentation Sisters and volunteers spent the day painting and setting up a chapel and ministry rooms for the youth of the city. Once the service was completed, they enjoyed a delicious lunch followed by prayer. 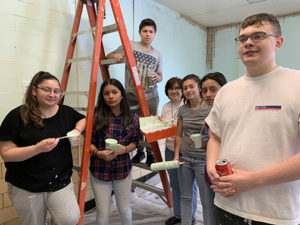 Volunteers paint ministry rooms at the new youth ministry center in Newburgh. Sister Pat Reils with volunteers. Sister Laura Urbano led the day and is grateful to everyone who came and participated. The day was filled with hard work and fun. The new center is a blessing with the hope that it will grow and will be a service to the youth of the city.